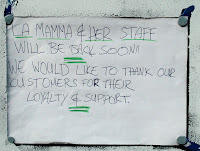 Central Road’s most famous Italian restaurant, la Mamma, has closed for between one and a half and two months while it undergoes a full renovation. The restaurant which features in the picture at the top of this blog has graced Central Road for 13 years and this is the first time it has closed for refurbishment in that time. After the works are complete, La Mamma will be expanding its business to include a coffee shop and brasserie which will be opening at 8am, serving coffee, cake, patisseries, and other fare expected to found in such an establishment. The restaurant will also continue as normal in the newly refurbished premises. 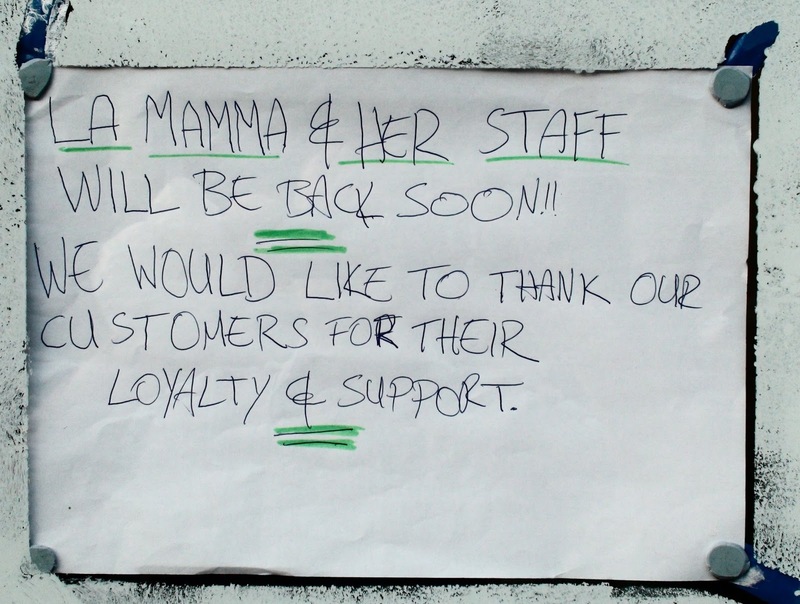 A few people have contacted the blog expressing concern that La Mamma had closed. The notice on the door did say that they would be back soon but didn’t make it clear where, when or why. 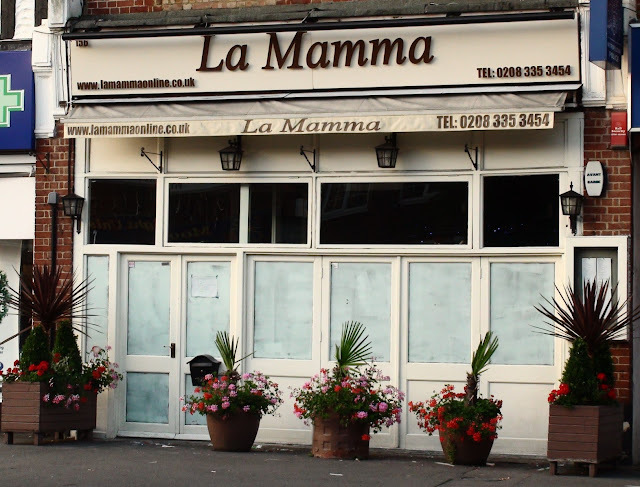 This blog hasn't been historically impressed by the quality of the food at La Mamma, however this is an opportunity for a new start and in true Worcester Park spirit I want to give one of our own another chance to shine. Especially as there will be a tempting new range to enjoy come morning snack time.